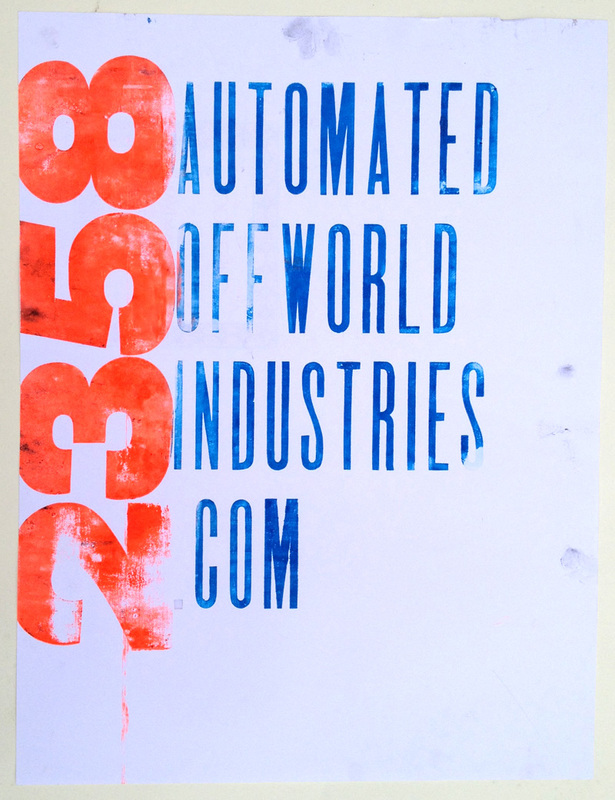 Automated Offworld Industries was a Web project (a blog) that focused on science and art from the imagined perspective of the year 2358. 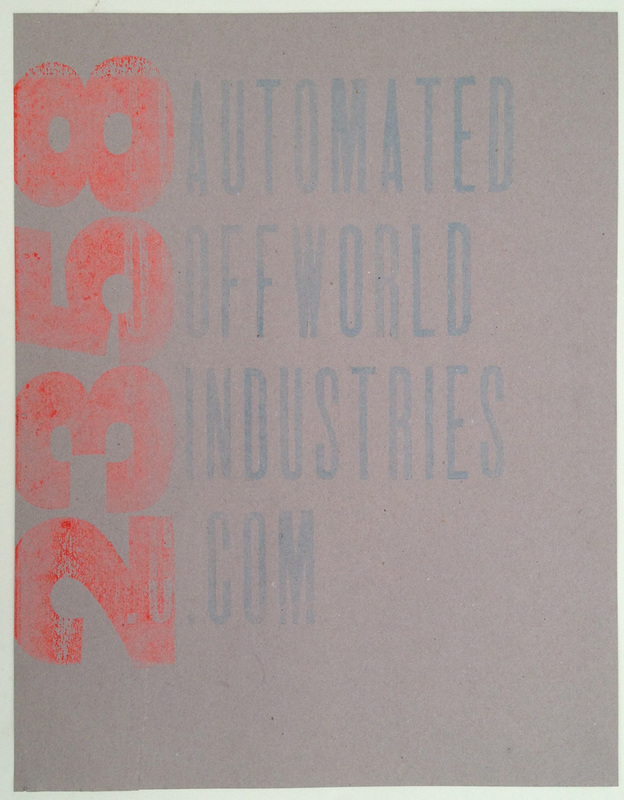 It was a space where an essay on a contemporary artist (written by AOI) or a reprint of a science article or something unexpected (like a 1966 image of Sharon Tate) might appear. 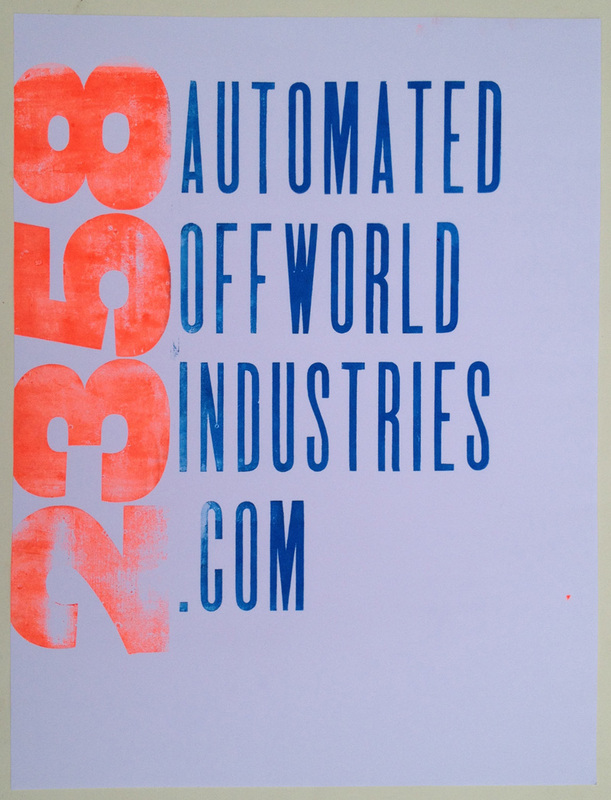 Artworks and projects of Erik Bakke may also be featured on this Site. 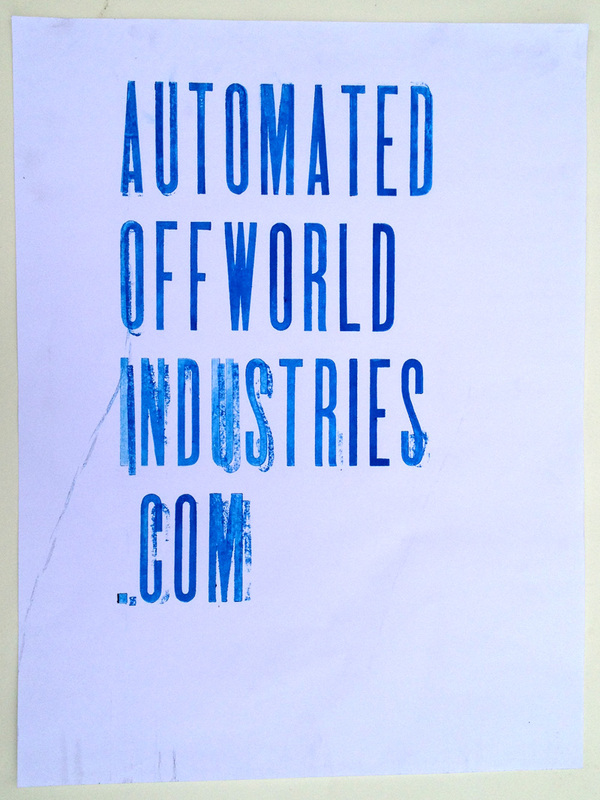 As stated on the AOI front page “AutomatedOffworldIndustries.com is a beta promotional tool of the Automated Offworld Industries Archive produced with support of the Automated Offworld Industries Marketing Department. 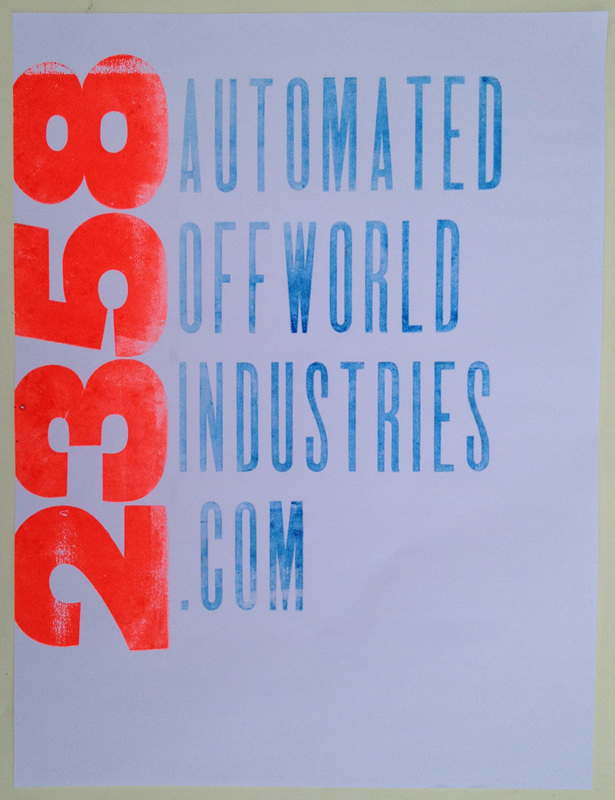 The project started in this year of 2358 with the goal of giving visibility to AOI's tertiary mission of cultural promotion and preservation. For more information go to erikbakke.com.” This project was featured, as seen below, in 2012 at Artexchange as part of the College Art Association’s Annual Conference, Los Angeles, California. 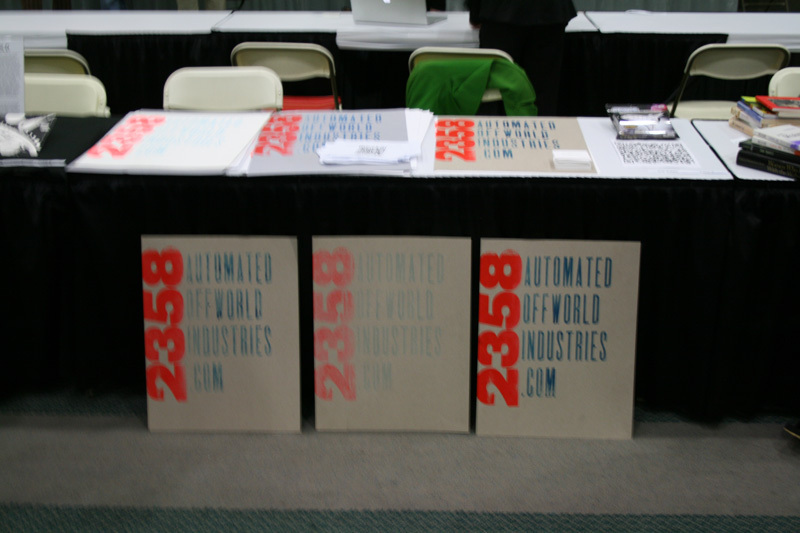 Automated Offworld Industries (AOI) installation at the 2012 Artexchange at College Art Association’s Annual Conference, Los Angeles, California. 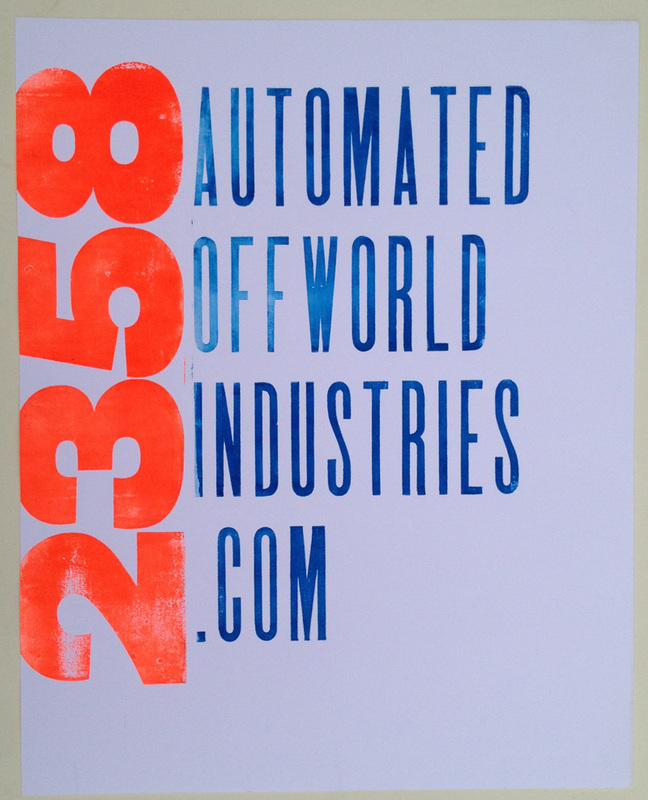 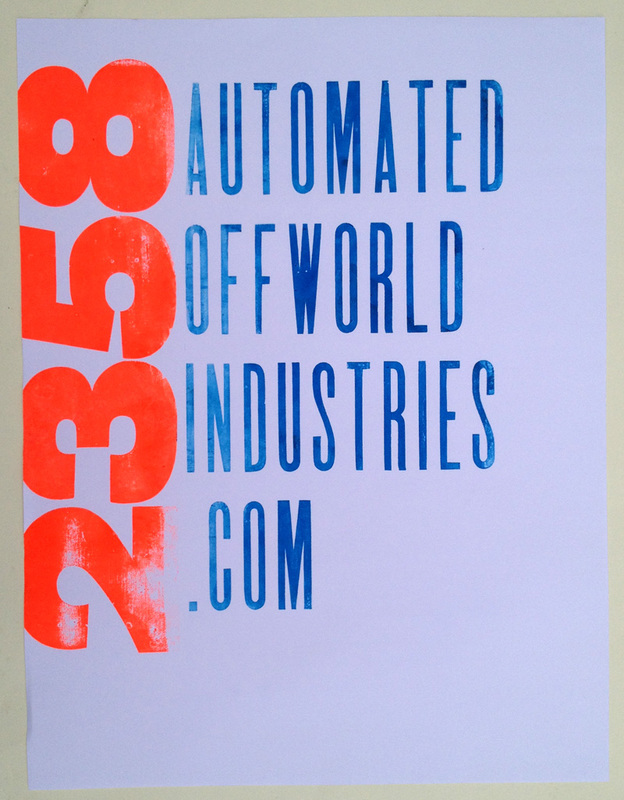 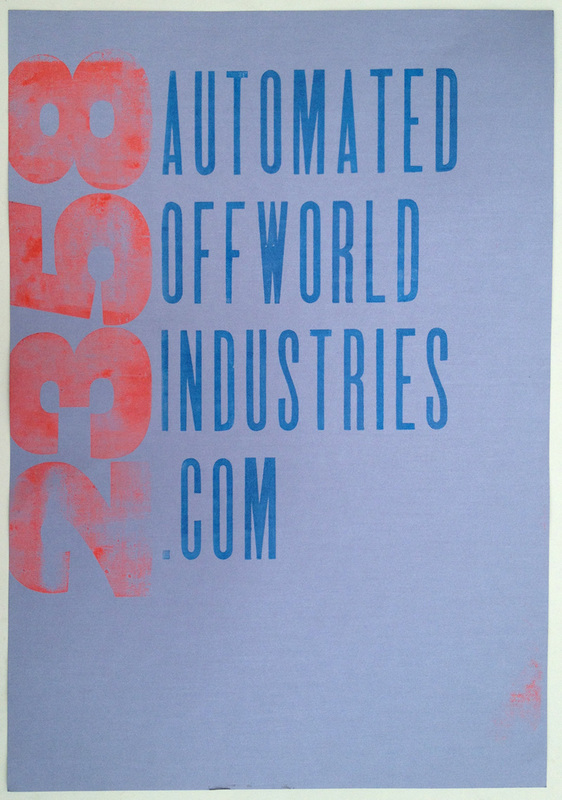 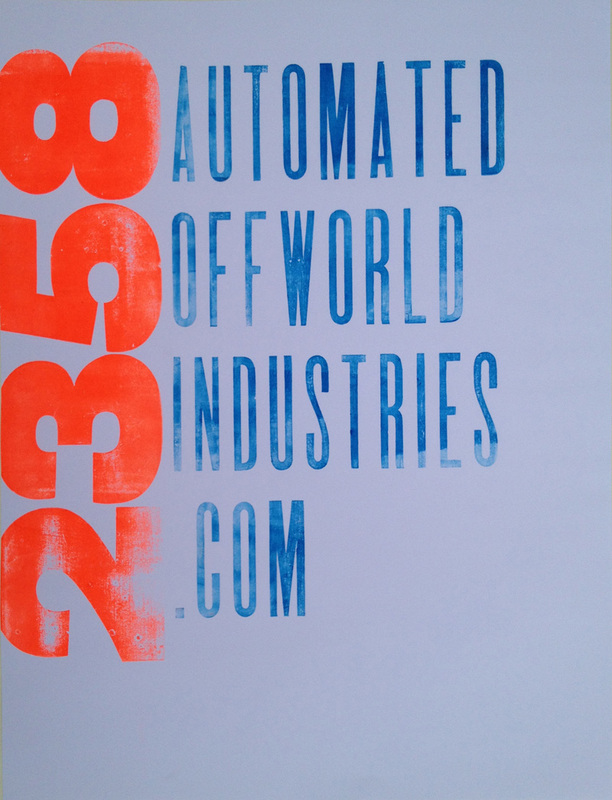 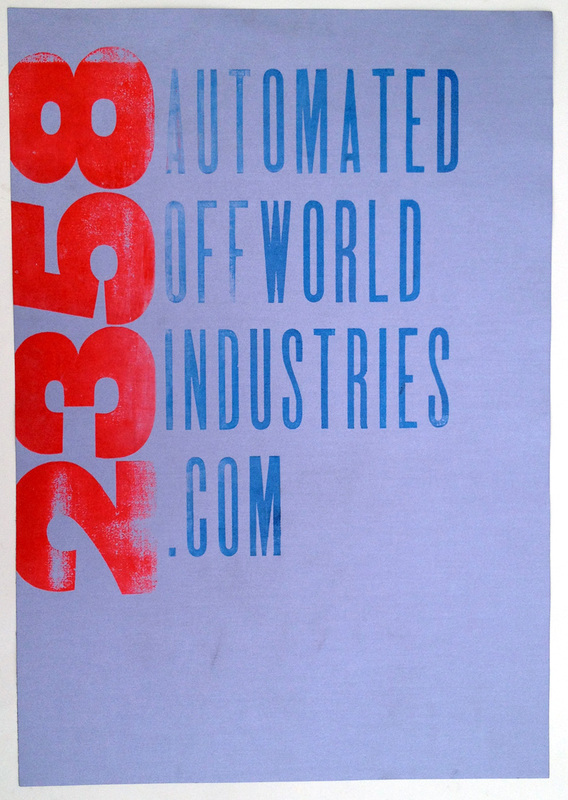 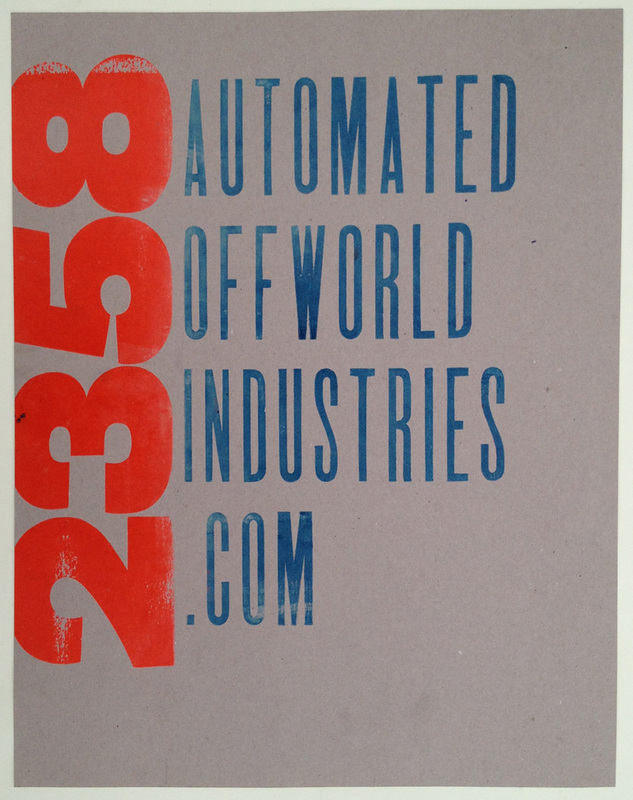 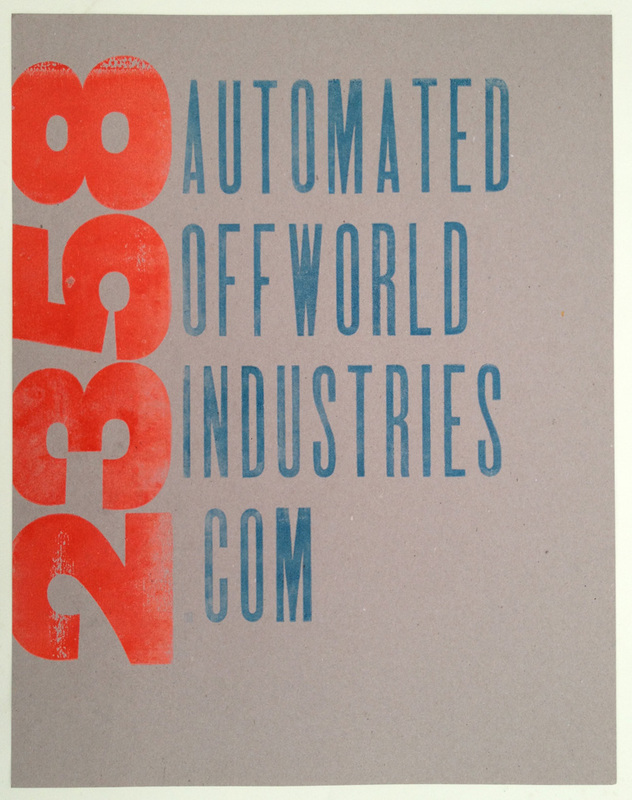 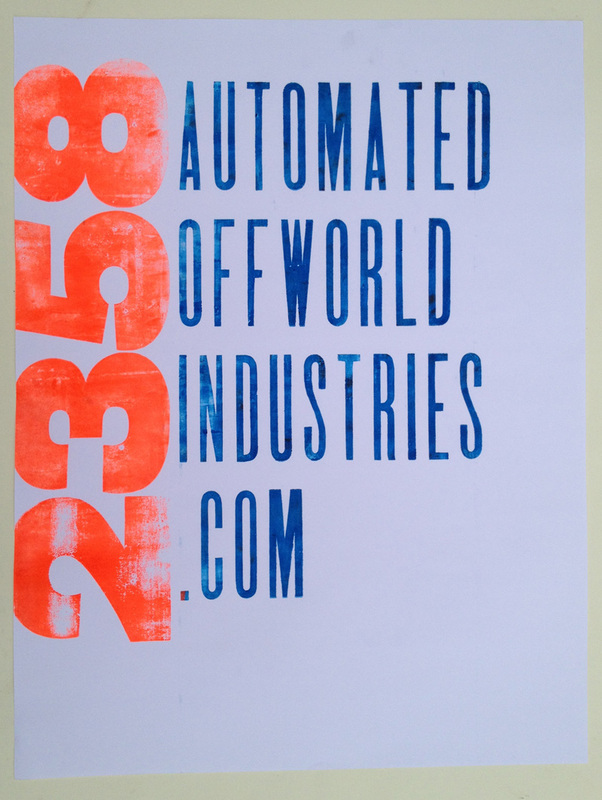 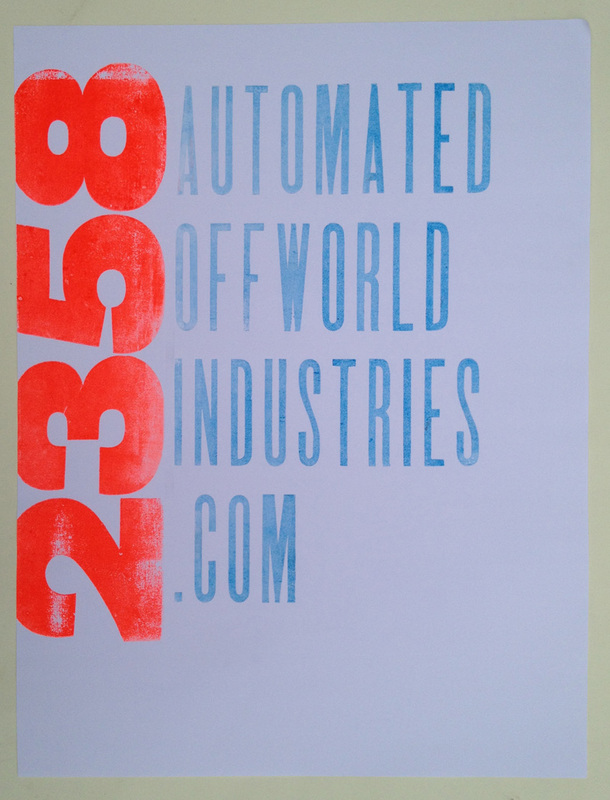 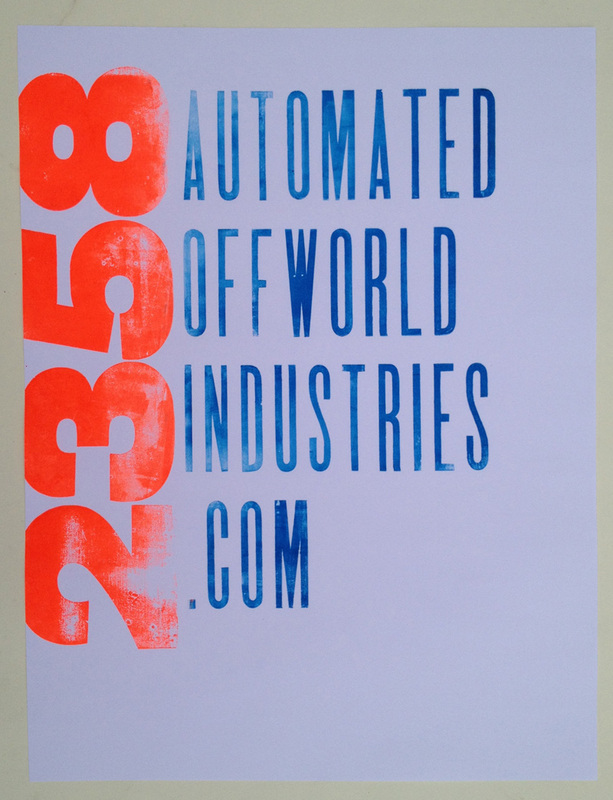 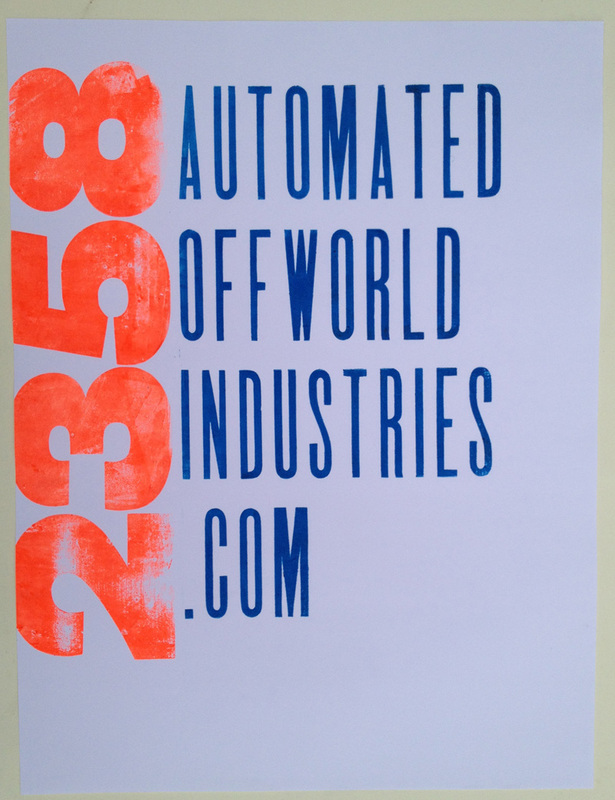 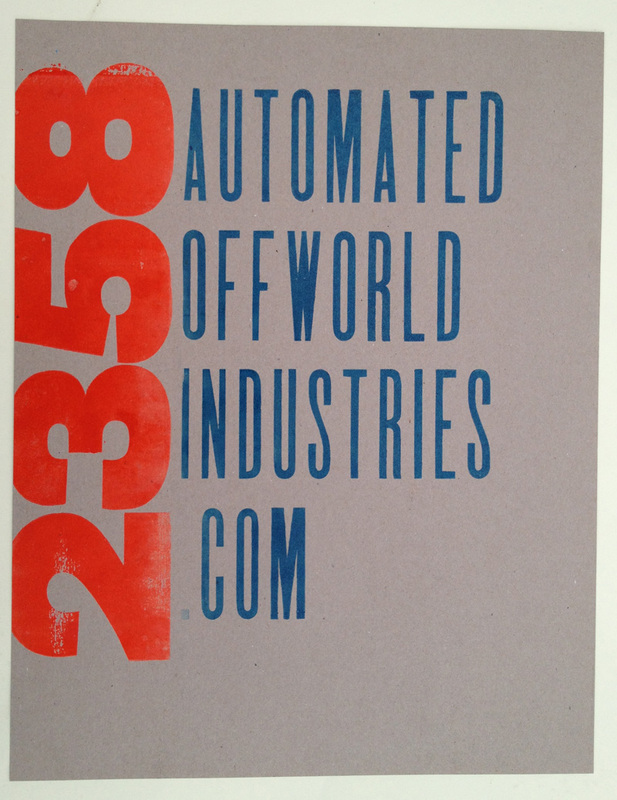 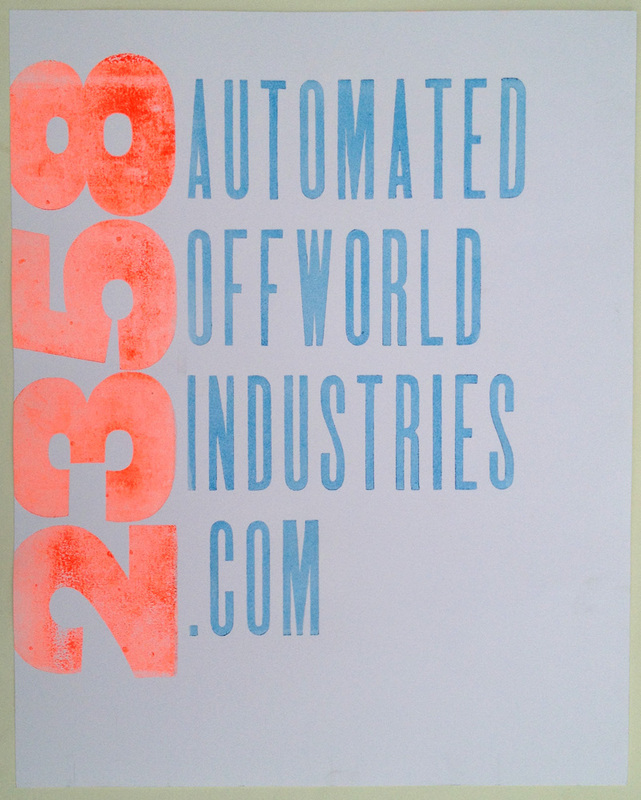 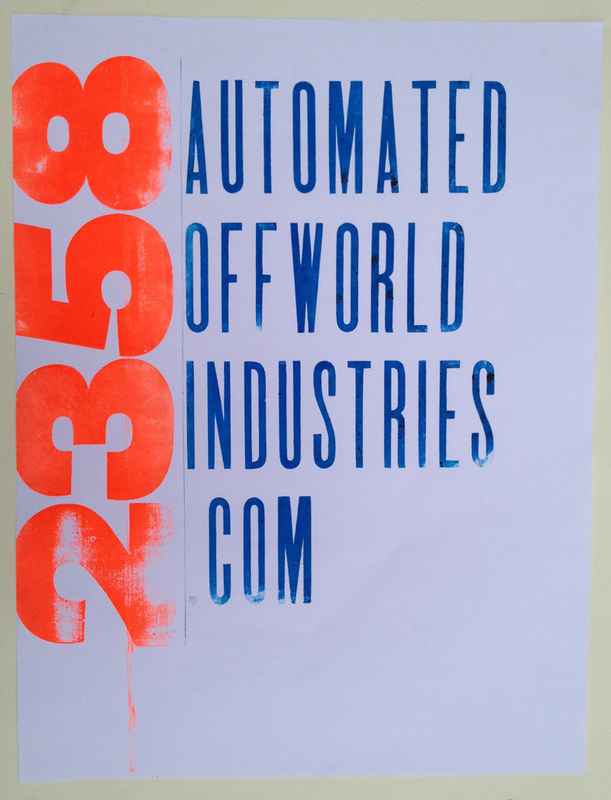 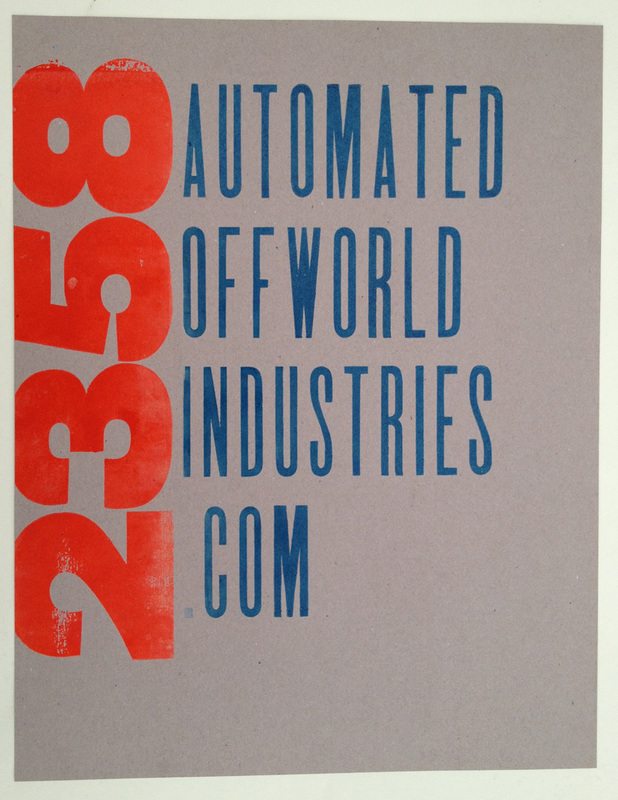 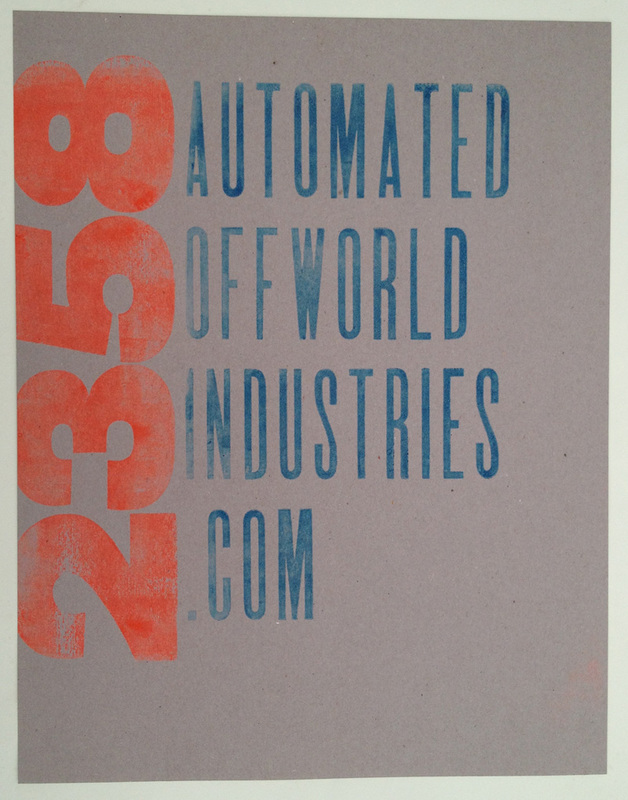 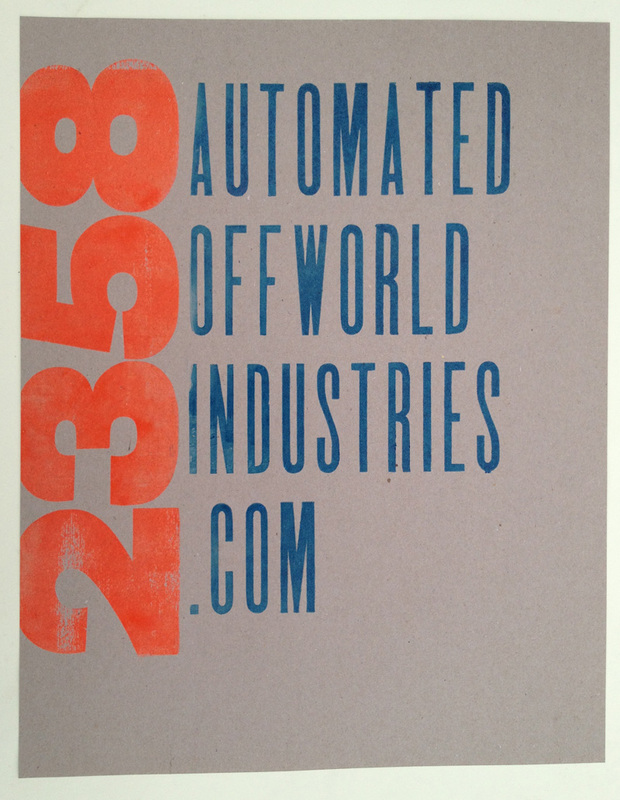 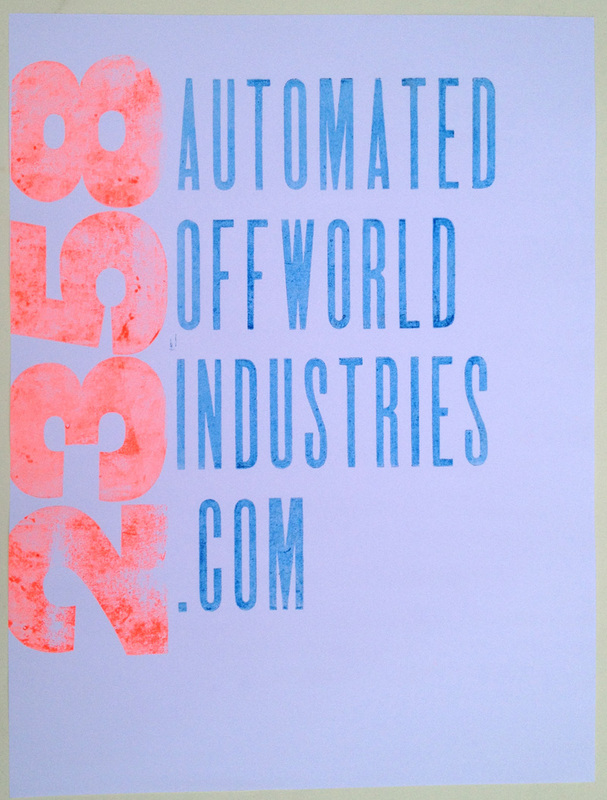 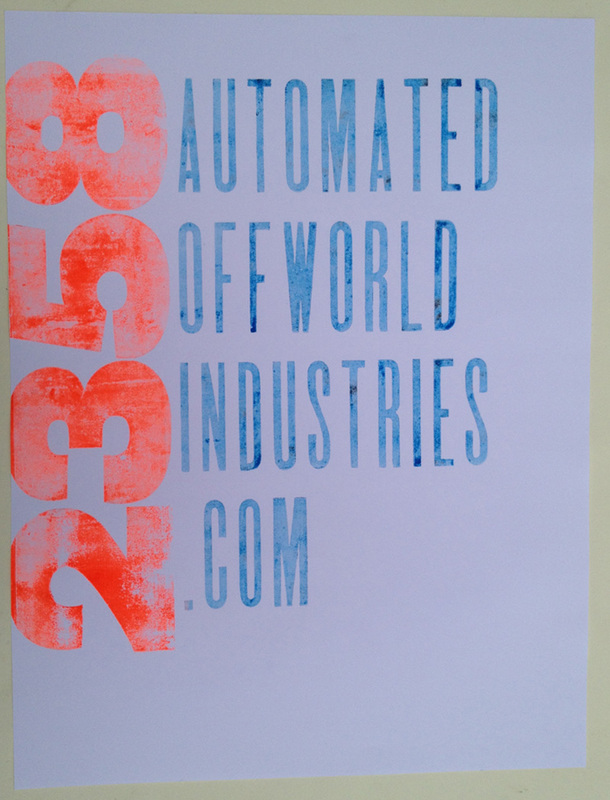 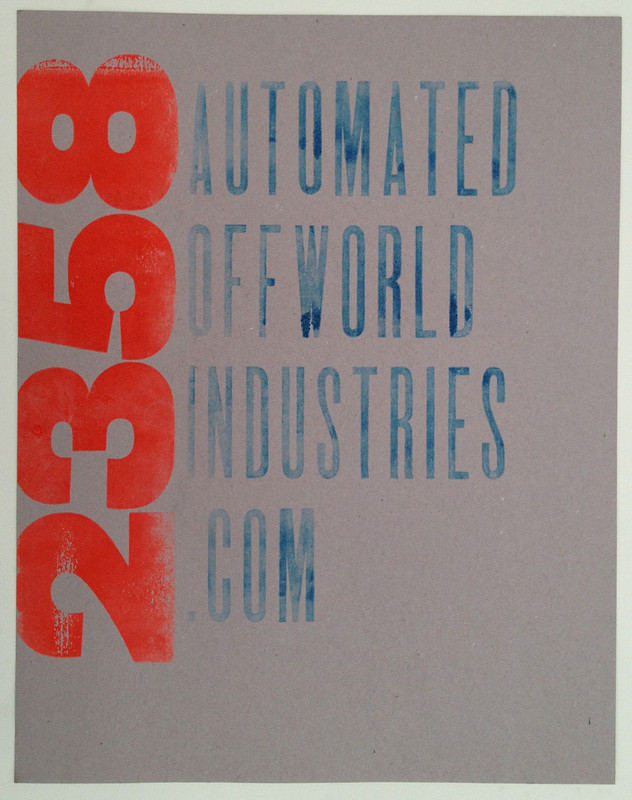 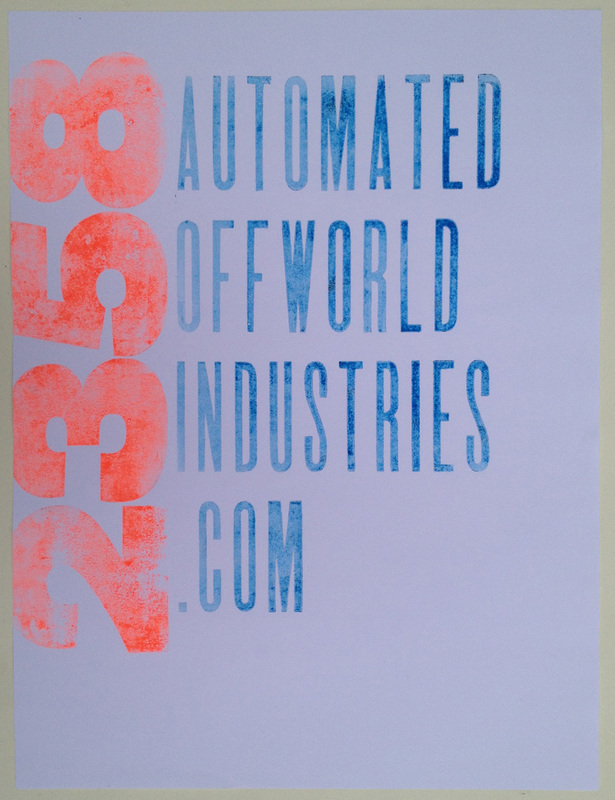 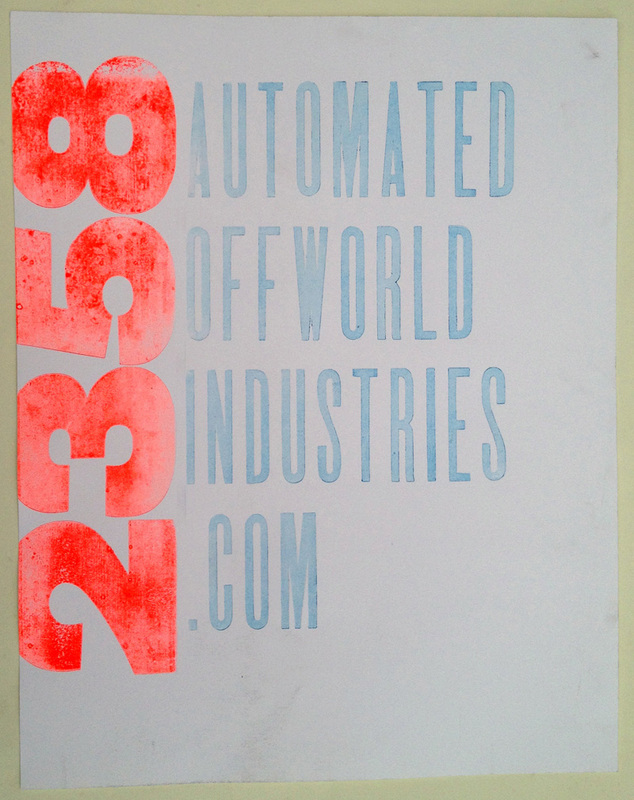 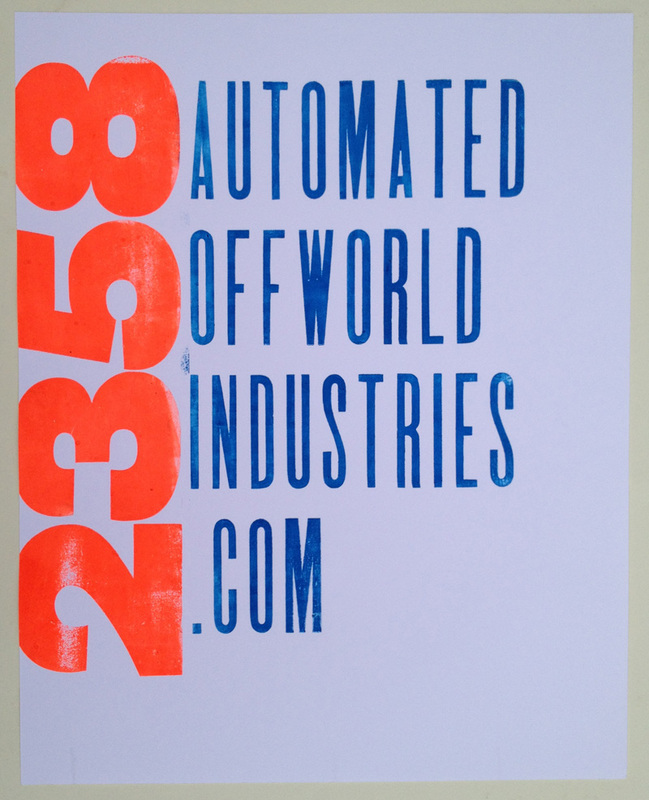 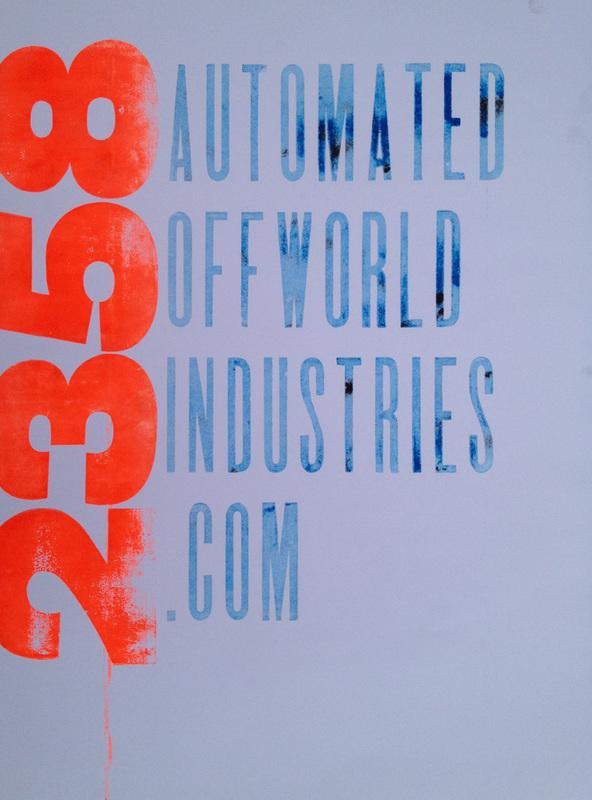 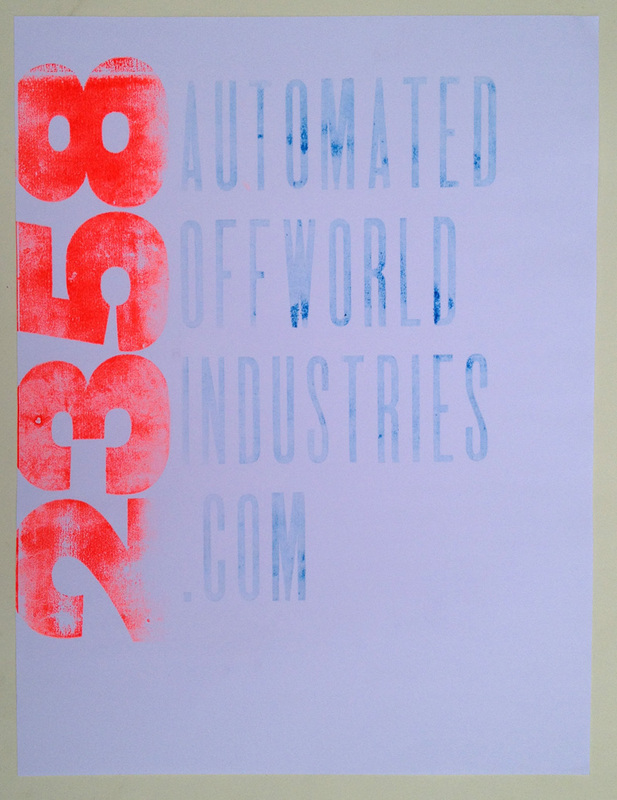 the Automated Offworld Industries name and the year 2358 can be see on video (click here). 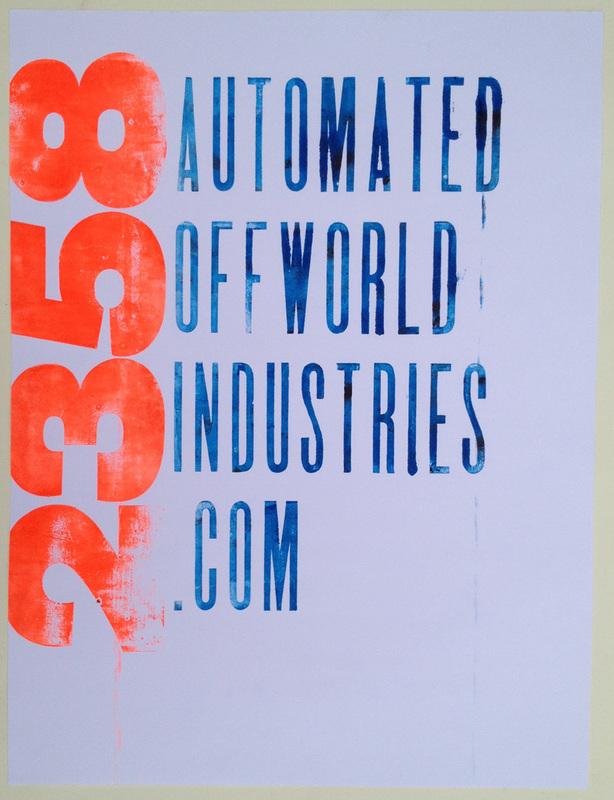 Prints made in the studio of and with the help of Jamie Redmond.